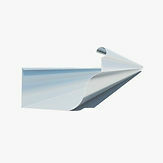 Do you ever wonder if a different gutter profile would be better for your home? 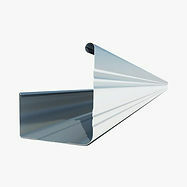 In Adelaide, there are a number of popular gutter profiles found in most suburbs. Style and capacity are the two key factors when deciding the right profile for your home. 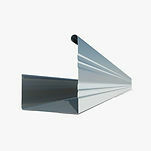 Gutter profiles mentioned in this post are manufactured by Revolution Roofing. Capacity refers to the cross section area of the gutter profile. For an overview of the most common profiles check out this brochure. 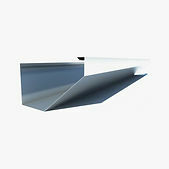 OG Gutter – The OG (old gothic) gutter profile is a traditional style for a modern home. Minimalistic disgn is achieved through it’s shallower profile. 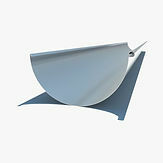 There are two common sizes for the OG gutter: the 115 mm and the 125 mm. As you would expect the 125 mm has greater capacity at 7420 mm2 while the 115 mm has a capacity of 6310 mm2. 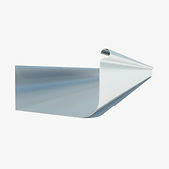 Half Round Gutter- As the name suggests, this gutter profile is simply half a circle. This profile is great for residential and commercial applications and comes in various diameters: ranging from 100mm to 500mm. The standard capacity is 8600mm. If you want more information from an industry expert, leave me your details and I will be able to assist you.